You’ve figured out the best way to lose weight. Eat a sensible diet and exercise regularly. 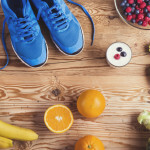 Now you need to find out what to eat right before a workout to fuel your body and not sabotage your weight loss plans. But the food you eat after a workout is as equally important for losing weight. You want to make good choices so your muscles have the nutrients to repair, recover and grow. And once again you don’t want to undermine all the hard work you’ve done. We'll answer the question of what should you eat before a workout. And what food should you eat after a workout. So here are some of the best pre and post workout meals for weight loss. These will give you the best chance to get you the results you want. It's a little confusing deciding what to eat before your workout. You don’t want something that’s too heavy but it needs to have enough protein and carbs to keep you energized throughout your routine. So plain nonfat Greek yogurt with ¼ cup of berries is a great option. It has up to 25 grams of protein and enough healthy carbs for your workout. Added bonus, it tastes great and is easy to grab and go. 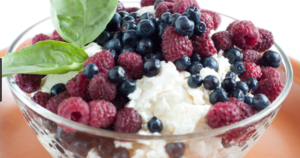 Try mixing some Stevia in if the berries don’t sweeten it up enough for you. I know they gotten a bad rap lately for dieters but it’s not true for your workout. 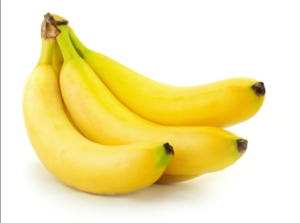 With 30 grams of carbs and only 110 calories a medium size banana is a good choice. Bananas are naturally fat free and have 422 mg of potassium, which is an important mineral that helps muscles contract and nerve cells to respond. This will keep your muscles from cramping up especially if you’re running. It’s also filling enough to ward off hungry while giving you the energy to perform. But beware all smoothies are not created equal. Unfortunately the ones you buy out usually have way too much sugar and calories. Instead make your own by combining protein powder, unsweetened almond milk and frozen berries. You only need about 150 calories to give the boost you need to crush your workout. And this also doubles as a post workout meal. It’s refreshing after a sweaty session and will help to hydrate your body. This is a good snack to eat before a strength training workout. Get the plain oatmeal and not the sugar and artificially flavored ones. Oats have healthy carbs, protein and lots of nutrients. Sweetened up with honey or a little almond milk. Add cinnamon to give your metabolism a boost and burn a few more calories. However if you’re planning on running then give your body time to digest it before you head out. Not all protein bars are healthy so read the label. Some are just glorified candy bars. Find one that has 100-150 calories with 10 or so grams of protein. Make sure it’s not loaded with sugar. It's ideal to stay under 9 grams of sugar and less than 5 grams of fat.These are easy to keep on hand great for on the go. This is a great pre workout snack. Apples are nutritional powerhouses containing healthy fiber to squash your hungry and nutrients that can reduce inflammation. They also have B-complex vitamins which help to energize you and maintain red bloods. Add cheese and you have a winning combination. Cheese is rich in calcium and helps keep your bones strong. It also has many vitamins and minerals that promote muscle growth and metabolic function. 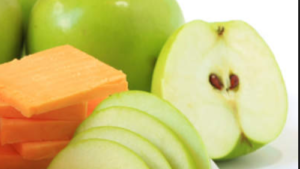 Grab a crisp juicy apple and piece of string cheese and you’ll be ready to conquer your workout. As I said before, your post workout meal is just as important as your pre workout meal. During intense exercise, muscles use up their glycogen stores for energy. Protein in the muscles are also broken down and damaged. After your workout your body is trying to replace lost glycogen and repair and grow muscles. So get your post workout meal within 45 mins of finishing your exercise. Egg whites are fat and cholesterol free, only have 16 calories and are considered one of the best lean proteins available. So you just completed a strenuous workout you don't feel like whipping up breakfast. Then try this simple recipe that takes about 5 minutes. Take 1/2 cup of egg whites and microwave for 90 secs. Add feta cheese (or whatever low fat cheese you like), tomatoes, spinach and microwave for another minute. That with a medium banana will give you a good balance of carbs and protein to help your body recover. This is another quick and easy post workout meal. Cottage cheese is good source of quality protein and has vitamins and minerals that help with metabolic functions. Add fresh or frozen berries for your healthy carbs and you’ve got a good post workout snack. You can add walnuts to give it a little crunch. Tuna is filled with protein and easy to make. But traditional tuna salad contains a lot of saturated fat and calories. Make sure your tuna is packed in water and substitute fattening mayo for plain Greek yogurt. Add lemon, basil and diced celery and mix together. Spread on toasted whole wheat bread with lettuce and tomato and you’re all set. Everyone knows it takes diet and exercise to achieve and maintain a healthy weight. But the two are not independent of each other. You need nutritious food for your diet and nutritious food for your workouts. The last thing you want to do is negate the benefits of your hard work by eating the wrong food. Also you need the right nutrition to ale to perform at your best. Try some of these simple and delicious meals and snacks and see how they can help you achieve your goals. ← Do Certain Foods Speed Up Your Metabolism?